Xiaomi Mi Max launched with 6.44-inch screen and 4850mAh battery. Xiaomi today launches a larger Mi phone, the Mi Max, at an event in Beijing, China. Mi Max, the largest handset with a 6.44" display, is powered by a Snapdragon processor and houses a 4850mAh battery. The Mi Max is available in three variants and priced at RMB 1499/$230 for (3GB + 32GB + 1.8GHz hexa-core Snapdragon 650), RMB 1699/$261 for (3GB + 64GB + 1.8GHz octa-core Snapdragon 652), RMB 1999/$307 for (4GB + 128GB + Snapdragon 652). 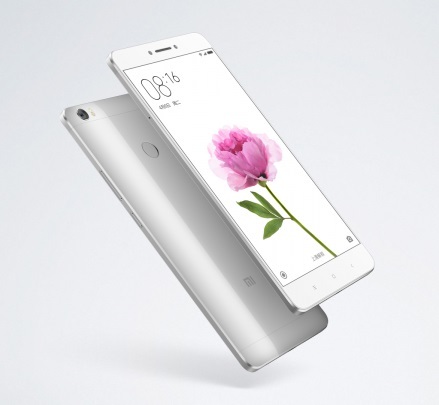 Xiaomi's Mi Max comes with a 6.44-inch full-HD (1080x1920) 342ppi display. It also features a Fingerprint sensor at the back. The smartphone is powered by a Qualcomm Snapdragon 650/652 processor, 3GB/4GB of RAM, 4850mAh battery, memory is expandable up to 128GB. It will run the new MIUI 8 interface based on Android Marshmallow operating system. The Xiaomi Mi Max sports a 16-megapixel rear camera with phase detection autofocus (PDAF) and dual-tone LED flash. There is also a 5-megapixel front camera on board. The Dual SIM phone features a hybrid SIM tray and supports 4G LTE with VoLTE, Bluetooth 4.2, GPS/ A-GPS with Glonass, and Wi-Fi 802.11ac with Mimo. It measures 173.1x88.3x7.5mm and weighs 203 grams.